On the first day of this fall semester, I opened the door of my garage where, strangely enough, my car was parked. To my surprise, blocking the foot of my driveway was a skid-steer and a one-tonne flat-bed truck. I was trapped. Unless I was prepared to sprint twenty kilometres, I wasn’t going to make it to school. The machinery belonged to the contracting company that had been repairing sidewalks on our street. But there was no trace of the men who had left it there to blockade my house. Except for me, the street was deserted. The name of the construction company was written on everything so I phoned their headquarters. I spoke to a guy who identified himself as “I Just Work Here at the Office” and I offered to arrange to have their gear towed away if it was too inconvenient to send someone back right away to move it for me. Mr. I Just Work Here and I hung up. And while I waited to see what he could do, it occurred to me that fastidious craftsmen like these might be too meticulous to bother with details like securing their vehicles. Maybe my freedom didn’t depend on tow trucks or whims of construction workers. Maybe I could free myself. 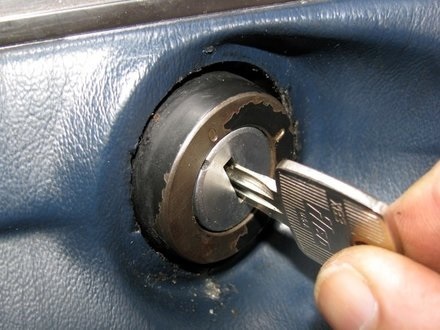 Sure enough, the truck was unlocked and the keys were in the ignition. I climbed inside, cranked the key, backed up — beeeep, beeeep, beeeep – and, because I am a genius, moved the truck down the street to where it wouldn’t be obstructing anyone. The work crew was back on the block by the time I had finished and walked back to my house. He never said those words but he did move the skid-steer without my help and I did get to school. I felt a little bad about the scrappy conversation. The construction goofballs are just a bit older than my oldest kids, after all. I’m patient and empathetic when my own big kids mess up and this was a lapse in character for me. But I didn’t feel sorry for moving the truck myself. Life—what’s left of my life, in particular—is too short for sitting around getting mad and late when the keys are right there, dangling from the ignition. While my oldest kid was working his first part-time job, as a stock-boy in a grocery store, he showed me this picture. It’s about unsatisfied but mostly civilized customers who don’t want to argue with teenaged frontline workers and primly insists on taking their extremely important retail grievances to a higher court. Notice the model in this picture is a probably little younger than me. I’m getting closer to the age of the lady below. 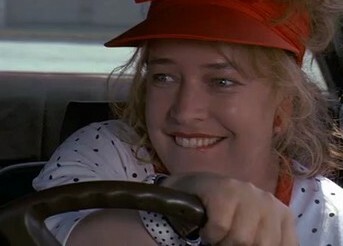 This is Kathy Bates in “Fried Green Tomatoes” acting out in a parking lot. I always thought this was a dumb scene – a grown-up smashing her car into someone else’s because they were rude and put her out and deserved it. The scene is still over-the-top but it’s starting to make more sense. 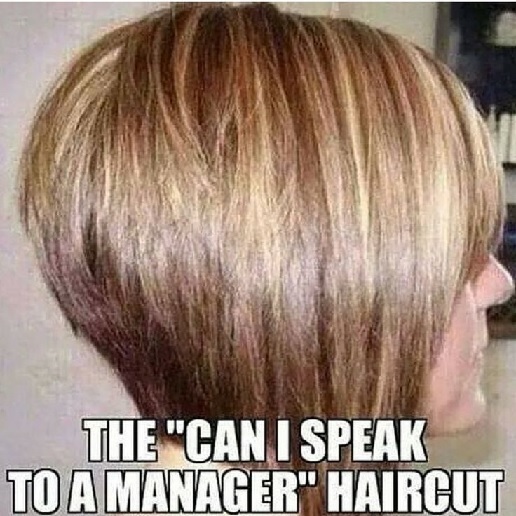 I don’t want to talk to the manager. I don’t want to phone the office and wait for a guy. I don’t want answers anymore. I don’t want anyone to get in trouble. I just want results. It’s not about a haircut or hormones or insurance coverage (like it was for Kathy Bates’ character). It’s about time–four decades littered with the usual amount of smoking crap and a complete lack of desire to know where it came from or who put it there. I just want it gone even if I have to muck it out myself. If the clichéd catch phrase of young women these days is supposed to be “I can’t even…” maybe the catch phrase of women my age should be “I can even…” And I if I can do it without someone coming out of the office to help, I’d actually prefer that. Beware women my age. Don’t box in our vehicles. Don’t start ridiculous arguments with us, panic when they’re not going well, and then try to say we came up with the whole feminism thing not because we’re actually suffering but so we can fib our way onto some bogus moral high ground. Women my age are not actually nasty or crazy. We have our wits about us. We also have skills and knowledge and experience. We aren’t hobbled by our sweet babies anymore. We have each other. We can see for miles. And we may insist on being called ma’am.